“Lucky” Bailey’s Irish Cream Cupcakes! 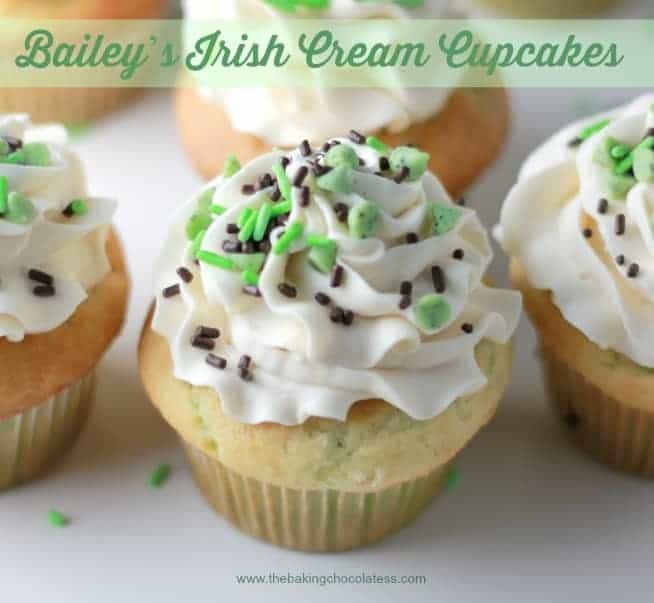 Wanna get lucky with these Bailey’s Irish Cream Cupcakes? Irish eyes are smiling, because these little beauties have some pretty, awesome flavor! That’s because the cupcakes are infused with some Bailey’s Irish Cream and topped with the Bailey’s Irish Cream Buttercream Frosting! Just in case you aren’t familiar with Bailey’s Irish Cream, it is made with Irish whiskey and real dairy cream. It is a cream dessert liquor that is soooo dreamy, it can be served on the rocks, in coffee, in desserts and mixed cocktails. 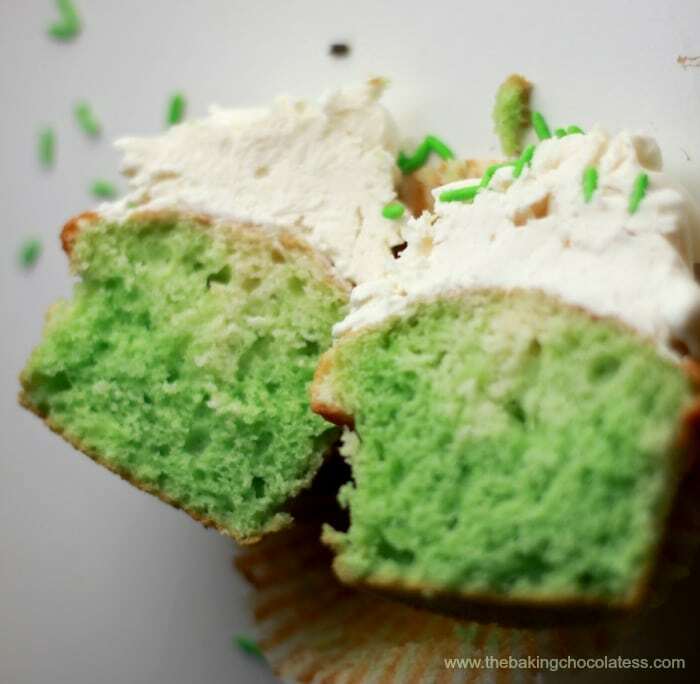 To make these more festive, I added in some green food coloring to some of the vanilla cupcake batter to make them a really, cool shamrock kelly green or 50 shades of green here! So, how are you going to celebrate St. Paddy’s Day this year? These cupcakes would be a perfect treat to help you celebrate in style. You can make the cake any flavor you want, have fun with it. Get lucky with these Bailey's Irish Cream infused cupcakes iced with a creamy delicious Bailey's Irish Cream Buttercream Frosting. Make white cake with ingredients called out on directions of cake mix. Reserve 1/3 of cupcake batter and set aside. Add in some drops of green food coloring to the remainder of the cake, mix until color achieved and pour into cupcake liners 2/3 to 3/4 of the way full. 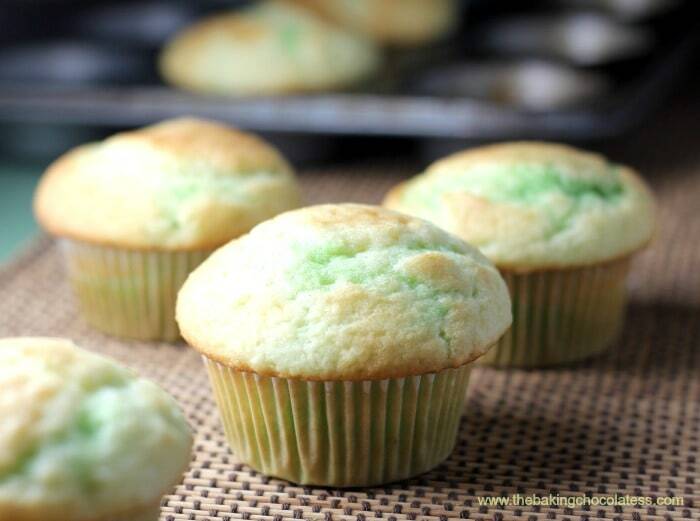 Take reserved 1/3 cupcake batter and drop a spoonful on top of the green batter and spread to edge of each cupcake. Use knife and do one swirl in each cupcake. Bake in oven as directions say. 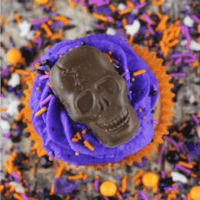 After the cupcakes have been baked and cooled, poke a few holes in the top of each cupcake and then pour up to 1 - 2 or 3 teaspoons of Bailey's on the top of each out of the 1 cup of Bailey's. The holes will help the Bailey's reach the interior, infusing the cupcakes. Yum! Cream the butter and sugar together until smooth. Add the salt and vanilla and mix until combined. Mix in 3-4 Tbsp Irish Cream. 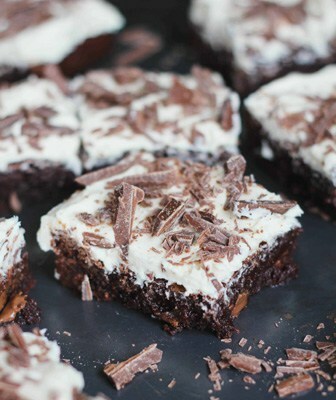 Add more or less depending on the consistency of frosting you desire. Beat on high for 2 minutes. Using a large round top, pipe a big swirl of frosting onto the cupcake. Decorate with sprinkles and mini chocolate chips. Yum Yum Yum! Love Bailey’s and they sound so easy. Plus they are cute as a button! Thanks Andrea! 🙂 I stopped over at your blog earlier, looks really awesome! Looking forward to what is next! Cupcakes speak to my heart :-)!! So happy to find your blog at Friendship Friday! Thanks so much Suzie! 🙂 That is so sweet! 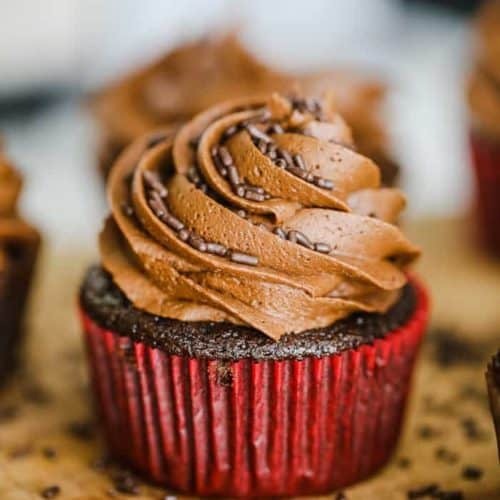 These are mouth-watering cupcakes ! !